research project was embedded in an action research approach intended to encourage network development by means of a dialogical process. The specific research question was: What are the actors’ perceptions of knowledge networks and how might we account for the networks’ evolution, role and ways of working? Bourdieu’s concepts reproduction and symbolic violence were used as analytical tools and were chosen as a way of answering and explaining the empirical story line. Data was collected by use of a multi-method approach consisting of 39 interviews, observations, document review and reflexive notes. The intention was to elicit data that supported both network development and the theoretical explanation to come. It appeared that the networks concerned had several advantages, such as being a forum for internal dialogue and exchange of experiences. In addition, two main patterns emerged: Firstly, most of the participants within the networks were advocates of a linear top-down model of implementation of evidence-based knowledge into practice. Secondly, they experienced inertia in the transfer process. From the collaborative process undertaken it emerged that their linear top-down model of knowledge transfer seemed to be firmly rooted. Theoretically, the thesis contributes to an understanding of why the process of knowledge transfer was considered by the participants within the networks to be a sluggish process. 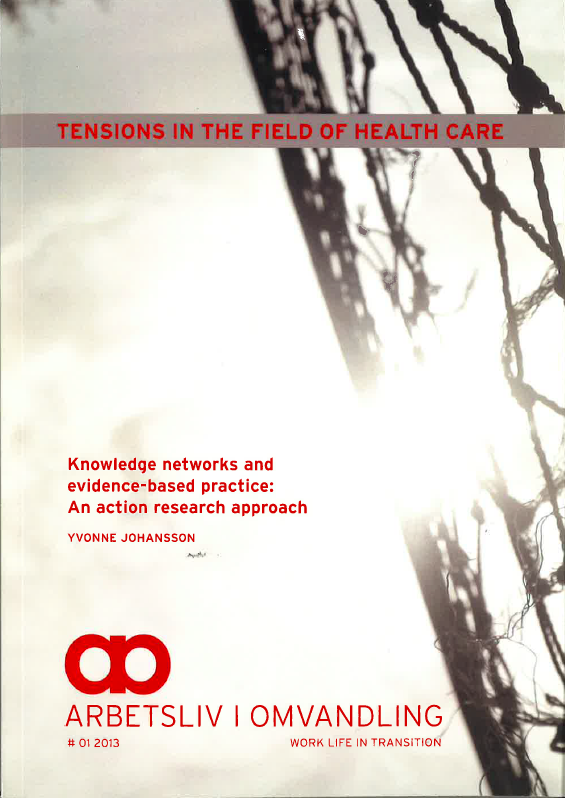 The thesis also contributes to an explanation of why they adhered to the macro-discourse of evidence-based medicine at the expense of involving practitioners outside the networks in horizontal patterns of exchange. It is argued that the networks had a symbolic value and were also a product of and reproduced the evidence-based discourse and the prevailing structures within their field. This contrasted with the role of networks as arenas for generation of local knowledge in the network literature. A major challenge facing health care sectors is that of how to support practitioners in the incorporation of new practices resulting in actual changes.